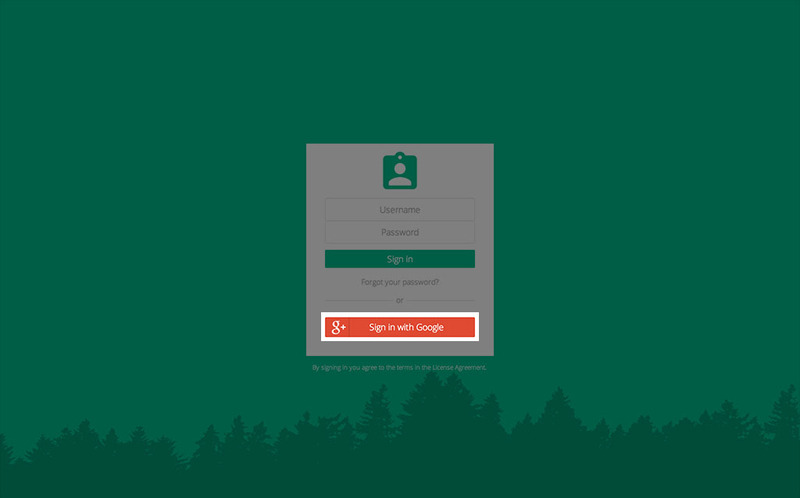 Allow users to login via your google apps account. ftrack can be set up to manage user authentication against Google Apps. To accomplish this, your ftrack server and your Google Apps account need to be linked to each other. Go to Google Apps settings in Settings and enable Google Apps in ftrack by setting the switch to On and enter your google apps domain. Log in to your Google Apps account, click Security in the Admin console and then API reference on the next screen. Make sure the checkbox Enable API access is ticked. To enable existing Google Apps users to log in to ftrack, all Google Apps user accounts must have a corresponding account in ftrack. Go to System settings ‣ Resources ‣ Users and press Sync with Google Apps to fetch information about your Google Apps accounts and add them to ftrack. A consent screen will be presented to allow ftrack access to the users in your google account. Now you should be able to log in with any of the accounts listed on the Users page in ftrack with google selected in the Type column. Be sure to select google as type of account to be able to log in against Google Apps. Also, make sure that the username you usually enter into the username field when logging in to ftrack is present in Google Apps. “Domain cannot use apis” means you have not enabled API access in your Google Apps account. “Resource Not Found: domain” means the account you logged in with is not a valid Google Apps account. If the sync appears fine but no users show up in the list, ensure the domain you entered in Google Apps settings matches the users email addresses in your Google apps account.